And announce Thrive Global and Under Armour’s partnership. 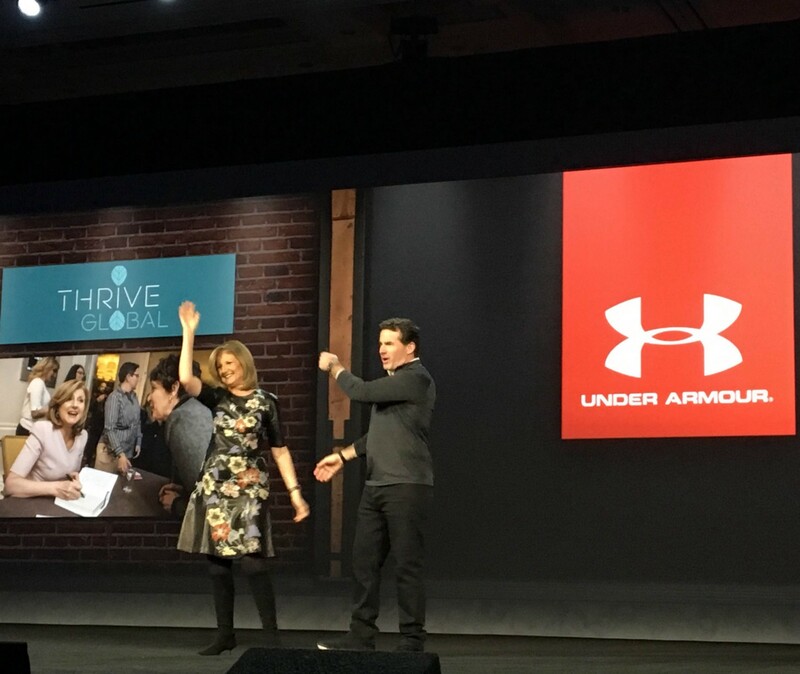 Thrive Global CEO and founder Arianna Huffington joined Kevin Plank, CEO and founder of Under Armour, at the Consumer Electronics Show Friday to announce a new partnership between the companies around sleep and high performance living. The misguided sentiment is deeply embedded in our culture and our language around high performance and success. Under Armour made another big announcement at CES Thursday with its new line of athlete recovery sleepwear in partnership with New England Patriots quarterback and sleep proponent Tom Brady, who is sponsored by Under Armour. Brady also shared his six steps to a better night’s sleep, which you can find here. Watch the full conversation below beginning at 50:12.